This is totally great news! 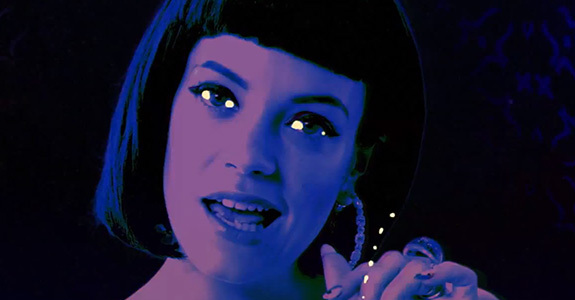 Singer/songwriter Lily Allen gave birth to a healthy baby girl early last night in her hometown London! Although we don’t have a name yet, the 26-year-old tweeted two words ‘totes amaze’ while her pal (and former boyfriend) Seb Chew sent out this message ‘sending out love to lily, sam and mini cooper … YES,’ confirming the birth although her reps have declined to officially comment. This past June she married her baby daddy Sam Cooper, who was apparently right by her side as they welcomed their daughter into the world. I couldn’t be more thrilled for Lily, especially since she tragically suffered two miscarriages (one with Cooper another with her ex Ed Simons) in a row, I guess the third time was the charm for her. But all this family business aside, I’m really dying to know if Lily will ever get back in the studio to record her third album! Her first two albums, Alright, Still (2006) and It’s Not Me, It’s You (2009) were both beyond stellar, yet supposedly she’s considering getting into acting and announced she wouldn’t renew her recording contract and had no plans to release more music. Anytime I meet someone from her label EMI’s Capitol Records, I tell them to seriously get on her case about recording again, because the world desperately needs new material from such a truly talented musician!